Superb Pair of French Terracotta Armorial Lions, Signed "Garouste"
This superbly-modeled and executed opposing pair of terracotta lions was crafted and signed by the well-known 19th C atelier of Jean Garouste in Castelnaudary, Southwestern France. Fabulous detailing, exceptional patina, differing head postures, and wonderful condition make these a very rare find indeed. 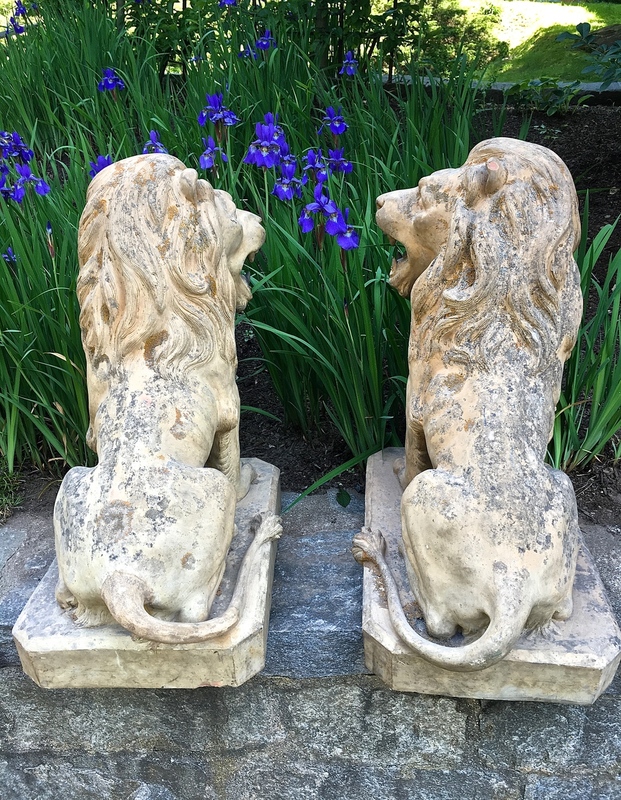 Perfect atop tall stone gate piers to guard the entrance to your home, or flanking your front door, these lions are magnificent and likely never to be found again.